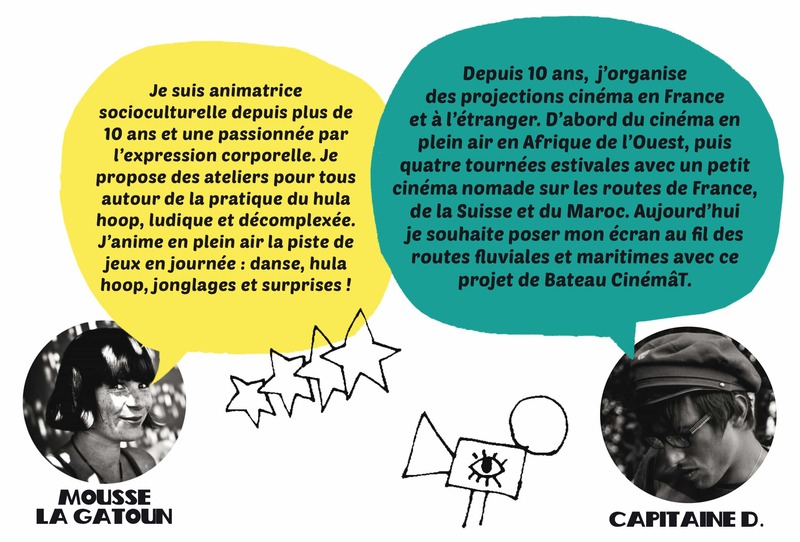 The “Arts à Bord” project has been imagined during the summer of 2015 by the crew of a hundred-year-old fishing boat, including Captain D. and Moss La Gatoun. The objective is to link art and waterways and is a continuation of 6 years of artistic projects on the road. Like all the projects developed by these two artists, it ‘s open to sharing, exchange, collaboration. The objective is to propose artistic and cultural activities to animate the waterways. 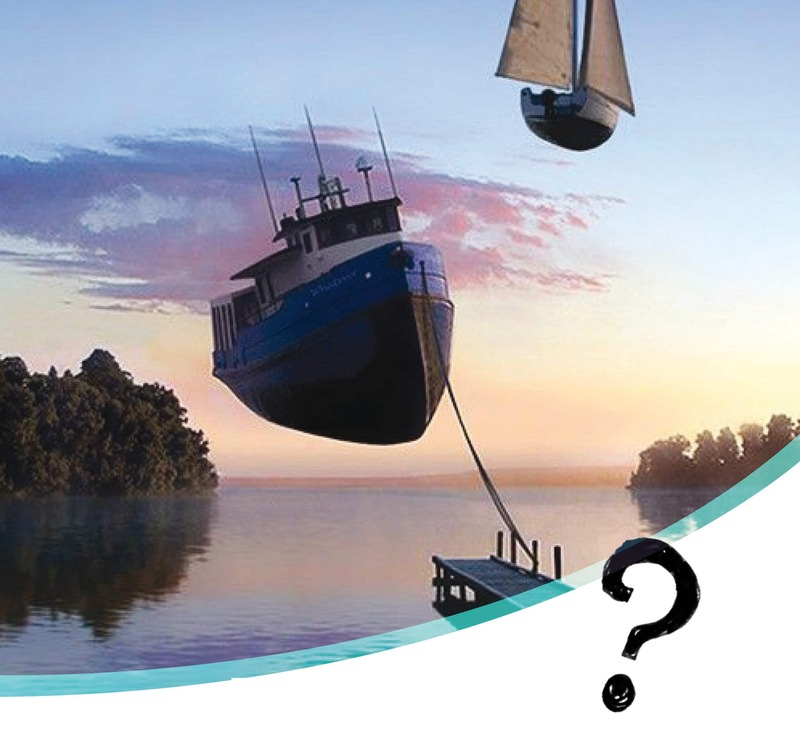 Like traveling artists, the crew will arrive in a harbor or a nautical stop to propose its arts and takes you on a voyage to a land of sweet dreams. Our events are open to family and friends. 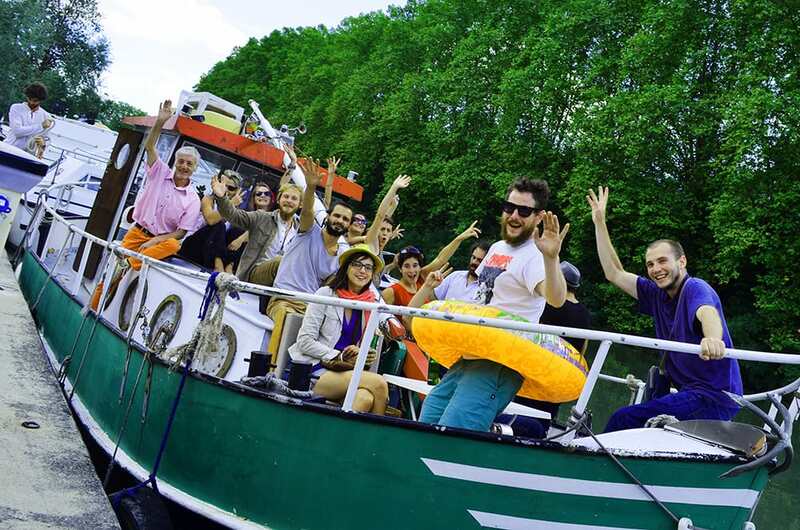 In our boat, the hold is full to offer workshops, cinema, shows, music, hooping. At each stop, we create collaborations by associating with local associations and artists to create unique, thematic and participative events. Our spaces are free to creative ideas: filmmakers, photographers, jugglers, musicians, painters, actors, magicians, and many others. We can have restaurant like food truck. Why ? Why not! ? With more than 8500 kilometers of waterways, France has the longest river network in Europe. 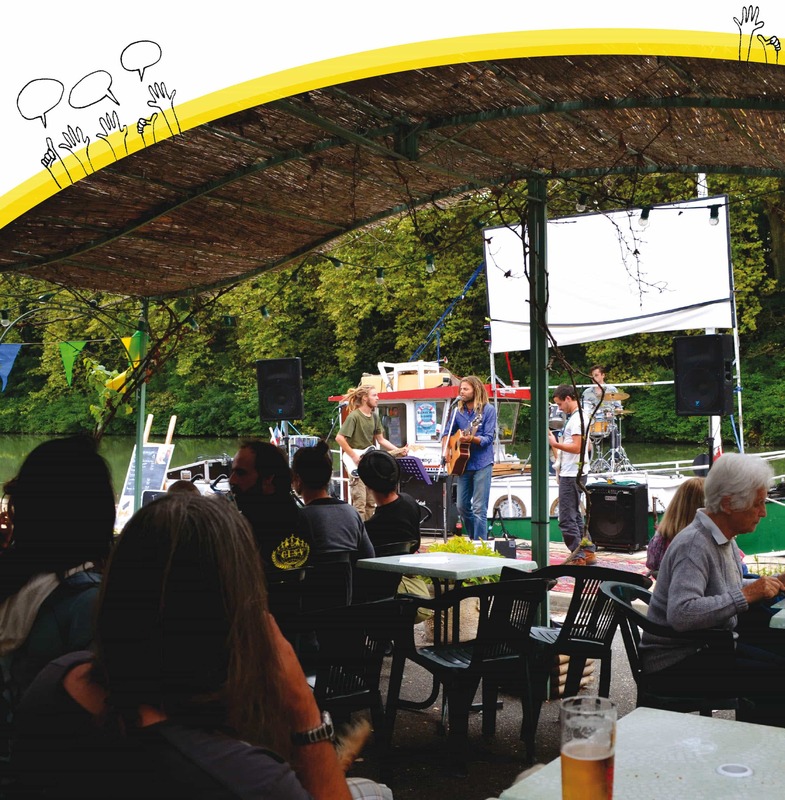 Although initiatives are emerging, activities for the general public, apart from boat rentals, are still underdeveloped. And waterways are, apart from big cities, in isolated territories that need new initiatives to create social contact. It is possible to create a social and creative dynamism in these towns and villages along the water with the gatherings that we want to create. We want to create a convivial moment, to invite people to be creative, to dream and to meet.